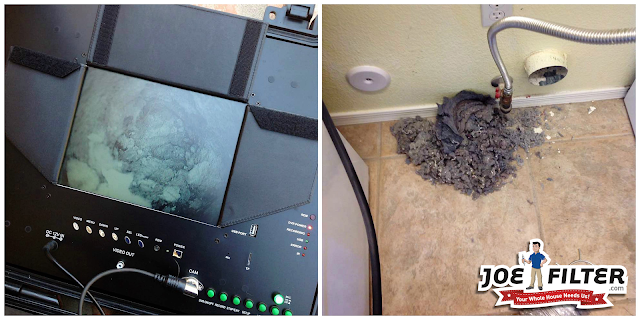 the Joe Filter blog: Dryer Vents, a Forgotten Fire Hazard! Dryer Vents, a Forgotten Fire Hazard! 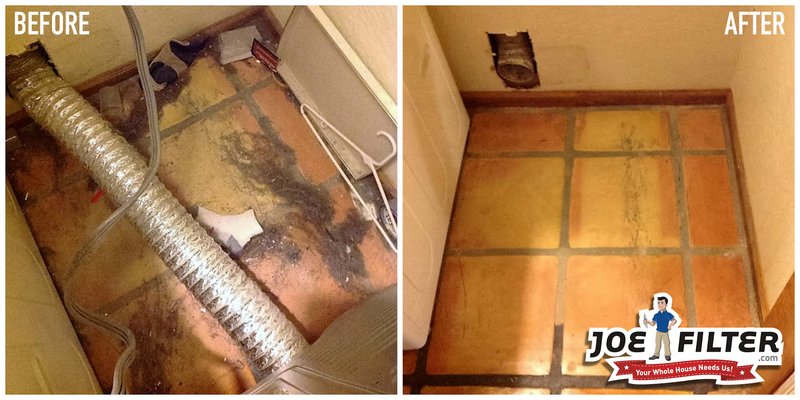 When was the last time you cleaned your dryer vent? If your answer is over a year ago you might be in trouble. According to the National Fire Prevention Association (NFPA) it is recommended to clean your dryer vent a minimum of once a year. This is because lint build up in your dryer vent, combined with the heat from the dryer can result in a fire. "Over 15,000 fires are caused by dryers each year." That’s why it's so important to clean your dryer vent annually. 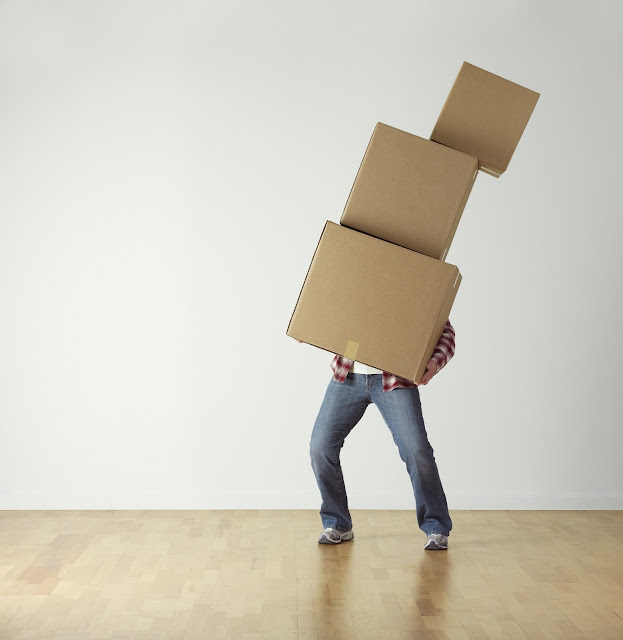 Unfortunately many people don't know where to start. The first step to cleaning your dryer vent is to determine where your vent exits too. If the dryer is located on a outer wall of your home you might be lucky and the vent will just go straight through the wall a few feet. These vents are easy to clean by oneself, simply push the lint out of the vent to the outside. Once done with that clean out the lint trap in the front of the dryer as well. Now if your dryer is located on an interior wall most likely it will vent up through your roof, and you may want to seek a professional Dryer Vent Cleaning Service for help. They will have all the tools needed to clean your vent. Having it professionally done by a reputable company will lessen the likelihood of any damage being done to your vent as well as save you from climbing onto your roof. 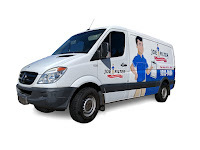 When searching for a Dryer Vent Cleaning Service make sure to check the reviews of the company you are choosing to confirm they are a reputable service company. An additional perk of getting your dryer vent cleaned is that your dryer will run a lot smoother and you might notice some savings on your next energy bill. Due to being a fire hazard, it is extremely important to clean your dryer vents at least once a year. For more information about Dryer Vent Cleaning visit JoeFilter.com or call (480) 813-9494 and schedule a professional dryer vent cleaning today.